Thinking about throwing a Star Wars shindig but need a few ideas on decorations, food and games? Check out these fun projects from Marie at Make and Takes who tested out these ideas at her son's Star Wars birthday party. 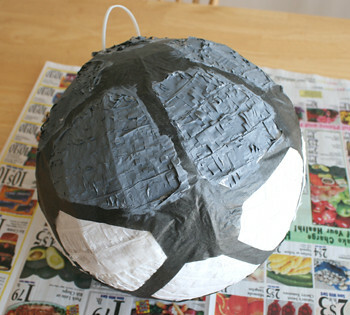 Kudos on the Death Star pinata! Would it be too cruel to have it so it only breaks open when/if you hit a small vent?